As you’ll no doubt be aware, Austria won the Eurovision competition only a couple of years back, all thanks to a certain bearded lady by the name of Conchita Wurst. They also won it back in 1966, but have finished dead set last on seven occasions over the past 60 years, have failed to progress four times (all of those in the last 11 years) and in eleven years of the competition, haven’t even taken part. Another one out of the box for the Austrians in 2016 is the fact that for the first time ever, their song will be performed entirely in French. Zoë Straub is the lucky lady to feel the weight of expectation on her shoulders this year, having previously participated in the national selection process in 2015. ‘Loin d’ici’ (‘Far From Here’) is the name of the song that she hopes will once again deliver Austria glory. Is it much chop though? Look, it’s pleasant enough. Zoë has a sweet voice and there’s some lovely instrumentation bubbling along underneath it, but we reckon its appeal will be somewhat limited. It’s no ‘Rise Like A Phoenix’, let’s put it that way. 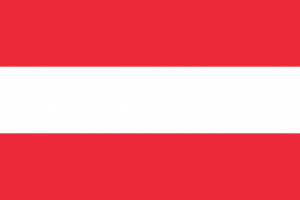 It’ll be interesting to see whether or not Austria makes it past the semi final phase. Cinq points.